Thank you for helping us go green by signing up for our electronic bulk mail packet. 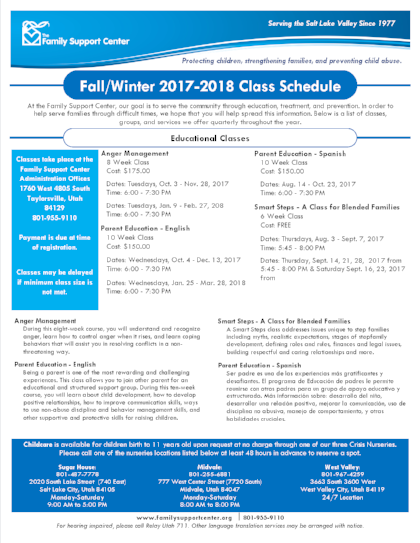 On a quarterly basis, you will receive a PDF packet of flyers for our classes and programs. How did you hear about the Family Support Center? Stay tuned for the next mailing. It will go out in December 2017.